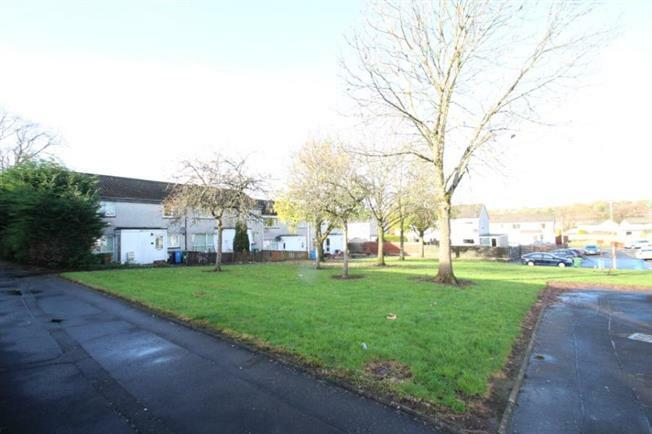 2 Bedroom Upper Floor Flat For Sale in Bonnybridge for Offers Over £60,000. This two bedroom upper cottage flat comes complete with private garden grounds , with stunning views towards the Campsies to the North. The property also benefits from a quiet residential setting, within close proximity to Glenskirlie Hotel. The property is presented in 'move in' condition and extends to main door access with staircase leading to reception hall, spacious lounge / diner flooded by natural light from the front facing window, well equipped modern kitchen with a range of wall and base mounted units with contrasting worktops, two good sized bedrooms and attractive modern three piece shower room. The property is further enhanced by electric heating, double glazed windows which are in good condition, and ample storage space is provided throughout the property. The property also benefits from loft storage accessed from a hatch in the hallway. The rear gardens are low maintenace and fully enclosed. Banknock is ideally positioned in central Scotland, Minutes from the M80 motorway and just a few miles from Kilsyth. It has a small selection of shops and a couple of public houses. There is also a local primary school and leisure facilities.